The KDE neon Docker Images are the easiest and fastest way to test out KDE software from a different branch than your host system. Coming live from the Plasma Sprint sponsored by Affenfels here in Stuttgart, the KDE neon Docker images now support Wayland. This runs on both X and Wayland host systems. Instructions on the wiki page. 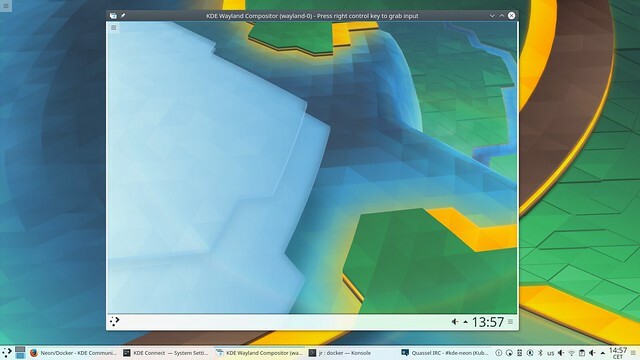 Below you can see my host system running Plasma 5.9 on X is running Plasma master with Wayland.